Anti Moppel has more than twenty years of experience in the public sector and especially in the transport and logistics field. From 1996 to 2002 he worked at the Ministry of Transport and Communications as Director of Transport Infrastructure Development Department and has had the opportunity to be involved in the Rail Baltica facilitation process from the beginning. 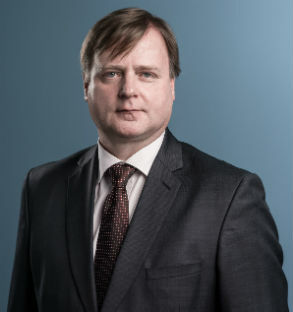 Since 2002, he has held the position of Ministerial Counsellor for Transport and Logistics at the Ministry of Economic Affairs and Communications of Estonia. Anti Moppel has obtained a Master’s Degree in Geology at Tartu University and worked at the Centre of Geological Survey of Estonia from 1993 to1996.